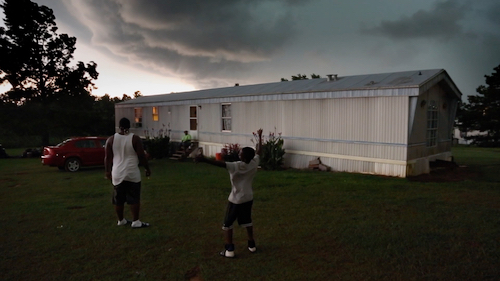 An inspired and intimate portrait of a place and its people, Hale County This Morning, This Evening looks at the lives of two young African American men from rural Alabama over the course of five years. Daniel Collins attends college in search of opportunity while Quincy Bryant becomes a father to an energetic son in this open-ended, poetic film without a traditional narrative. Distilling life to its essence, the film invites the audience to experience the mundane and the monumental, birth and death, the quotidian and the sublime. These moments combine to communicate the region’s deep culture and provide glimpses of the complex ways the African American community’s collective image is integrated into America’s visual imagination. 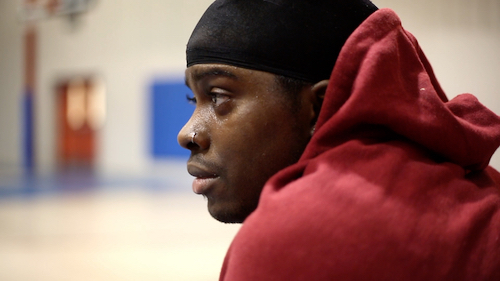 The directorial debut of award-winning photographer RaMell Ross, the film premieres on Independent Lens Monday, February 11, 2019, 10:00-11:30 PM ET on WOUB. The film received an Oscar nomination for Best Documentary Feature from the Academy of Motion Picture Arts and Sciences. Visit the Hale County This Morning, This Evening page on Independent Lens for more information. The film will be available for online viewing on the site beginning February 12. RaMell Ross (Director, Producer, Writer, Cinematographer, Sound Recordist, Editor) earned a BA in both English and Sociology from Georgetown University and an MFA from the Rhode Island School of Design. His photographs have been exhibited internationally and his writing has appeared in such outlets as The New York Times. He was part of Filmmaker magazine’s “25 New Faces of Independent Film” in 2015, and a New Frontier Artist in Residence at the MIT Media Lab. In 2016, he was a finalist for the Aperture Portfolio Prize, winner of an Aaron Siskind Individual Photographer’s Fellowship Grant and a Sundance Art of Nonfiction Fellow. In early 2017, he was selected for Rhode Island Foundation’s Robert and Margaret MacColl Johnson Artist Fellowship. RaMell is currently on faculty at Brown University’s Visual Arts Department. 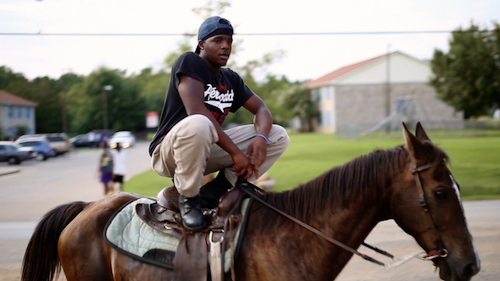 Hale County This Morning, This Evening is his first feature documentary. He met Quincy while teaching a GED program in Greensboro, Alabama, and Daniel while coaching basketball at the local high school. (Lucrecia Martel); and the documentaries Trouble the Water (Tia Lessin & Carl Deal), The House I Live In (Eugene Jarecki), Black Power Mixtape 1967-1975 and Concerning Violence (both by Göran Hugo Olsson), House in the Fields (Tala Hadid), Strong Island (Yance Ford), That Summer (Göran Hugo Olsson) and the forthcoming Angels Are Made of Light (James Longley) and Aquarela (Victor Kossakovsky). In 2017, Barnes was the recipient of both the Cinereach Producer Award and the Sundance Institute | Amazon Studios Producer Award. In 2018, she was nominated for an Academy Award for Documentary Feature and an Emmy Award for Exceptional Merit in Documentary Filmmaking. Su Kim (Producer) is a Korean American producer based in New York City. Entrepreneurial and creative, she is committed to crafting compelling stories and supporting independent filmmakers. Her films in release include the Sundance Film Festival premiere Kimjongilia (dir. NC Heikin), Adama (dir. David Felix Sutcliffe) supported by ITVS, and Sound of Redemption: The Frank Morgan Story (dir. NC Heikin). As a producer, she has been awarded a CPB/PBS Producers Workshop Scholarship as well as numerous grants from ITVS, the Sundance Documentary Film Program, NYSCA, Tribeca Film Institute and the US State Department. In 2014 she was selected along with five other women filmmakers as a Fellow for the Sundance Institute Women’s Initiative. She is currently producing One Bullet Afghanistan (dir. Carol Dysinger), Sansón and Me, and Lupe Under the Sun (dir. Rodrigo Reyes).